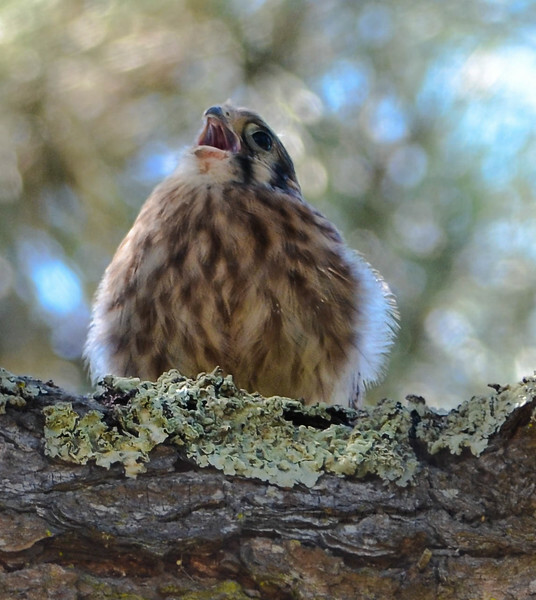 This female American Kestrel had fledged from its human made nesting box an hour before. The last of the four to leave the box behind her three older brothers. Within minutes she was flying and following her parents to the nearby trees.